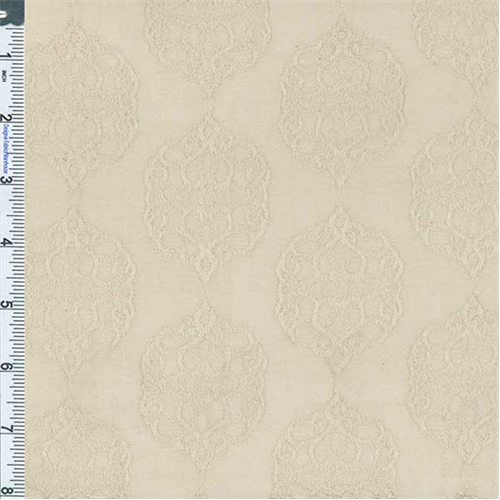 Rayon Medallion Jacquard Fabric By the Yard, Cream Buff. Light-weight rayon jacquard in a crinkled washed look, medallion design motif has a raised texture with a sheen. Semi-sheer to semi-opaque, suitable for blouse or dress silhouettes, use a lining or underlay garment if opacity is desired.